Some parenting-type experts will agree: most teens have no idea how to have real conversations, because they are too busy texting on their cell phones. 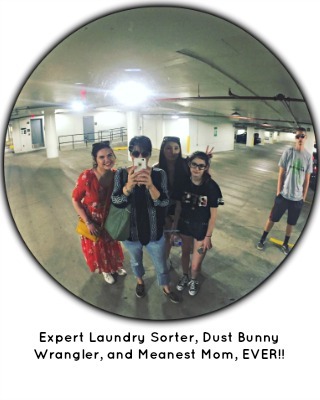 I am NOT one of these parenting-type experts: in fact, I really do wonder if any of them...you know...actually live with teens and I'm just going to embrace this moment (sorry, I'm a hugger) and share a little parenting-type secret with you, okay? Teens do NOT talk: sometimes, even when they are spoken to, and I most humbly suggest that you just go ahead and not expect any serious eye contact, anytime soon, either -- it'll be easier that way, trust me. However, most parents also own cell phones and, well, messing with your teens just got better. For example-type purposes: my oldest daughter went out with a bunch of girlfriends to celebrate one of their birthdays, after work. My daughter's shift ended at 8 p.m.
She got home at 9 p.m.
All "yeah, but she's an adult now" and "she's got a good head on her shoulders" arguments aside (because, seriously, with a houseful of teenagers, the line for questioning my parenting abilities forms to the right) I suspect any attention she does get will most probably NOT be kept, above the shoulders. Long story, short (I know, too late, but we're already too deep into brain vomit, you're welcome) I pretty much did the same thing at her age (YES, I still remember and never mind just HOW long ago it was) and, well, only really important people walked around with briefcase phones. Aaaaaand, my parents never slept. Today, my husband and I insist that our kids remember to, at the very least, text us: but STILL we are NOT sleeping. You know, thinking on it some more, I never DID hear back from her. Maybe she's just too busy Googling "fly dance moves" right?!? RIGHT?!? Stupid parenting-type experts; dumbass 80's catchphrases. With a fan page on Facebook and everything!